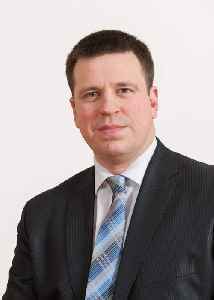 Jüri Ratas is an Estonian politician who is the current leader of the Centre Party and the Prime Minister of Estonia. He acted as the vice-president of the Riigikogu from 2007 to 2016 and Mayor of Tallinn from 2005 to 2007. As a mayor of Tallinn he initiated the European Green Capital Award programme. Estonia's Center party leader Juri Ratas secured parliament's support on Wednesday to continue as prime minister and form a new government that will bring a far-right party into the cabinet for the..
Estonia's president turned on Tuesday to Center leader Juri Ratas to form a new government - a move that will likely bring a far-right party into the cabinet for the first time.